The academic program at Ormond is based on the belief that ideas matter. 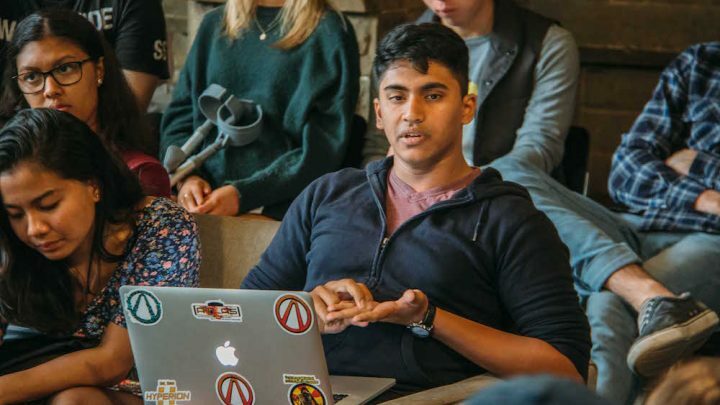 Students who engage in a broad range of intellectual activities not only do better at University but are better equipped for their lives and careers beyond study. 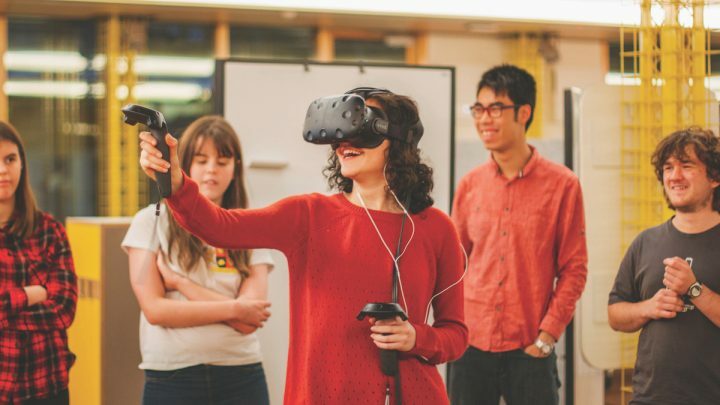 From extra tutorials to forums, events and broader learning experiences, Ormond students have access to endless opportunities to advance their studies and careers. Beyond Ormond Borders exposes students to the complex problems facing our local, national and global community. 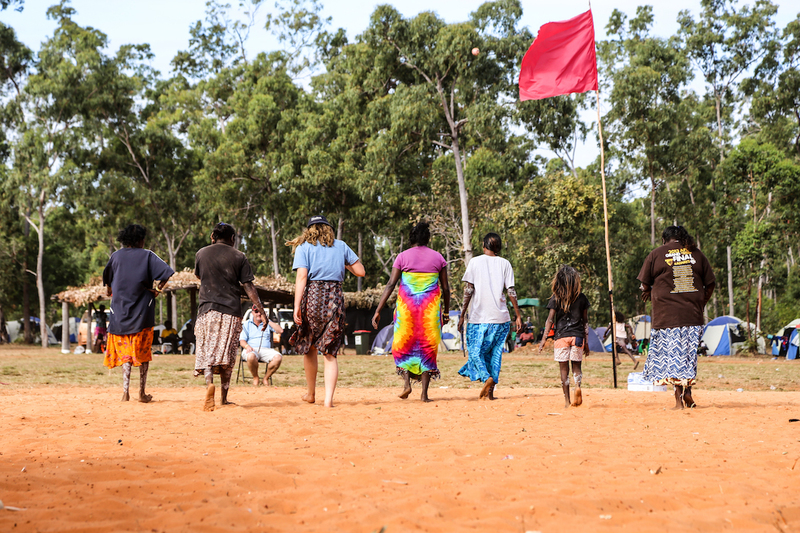 These activities are student led and have covered indigenous, environmental and educational projects and other volunteering initiatives. Ormond students are offered in-house training in work readiness skills. This program encompasses a wide range of activities, from workplace visits, mentoring dinners, guest speakers, internships opportunities, case competitions and individual career consulting with our full-time career advisor. 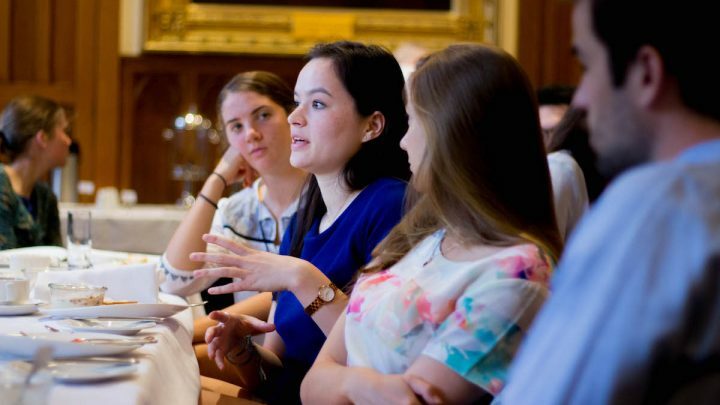 We also prepare students for post-graduate law and medical degree entrance requirements, and expand their knowledge of career pathways to give them opportunities to network with our generous, well-connected Ormond alumni community. The Lodge opened in 2018 as a place for music and creative arts activities. Led by Musician in Residence, eminent pianist Stephen McIntyre, Music Fellow Sadah Webster and a staff/student committee, the Lodge provides spaces for music performance, practice rooms, design spaces and visual arts. Fridays @ 1: a student-led robust conversation about topical political and social issues. Ormond hosts many eminent scholars from both Australia and overseas. 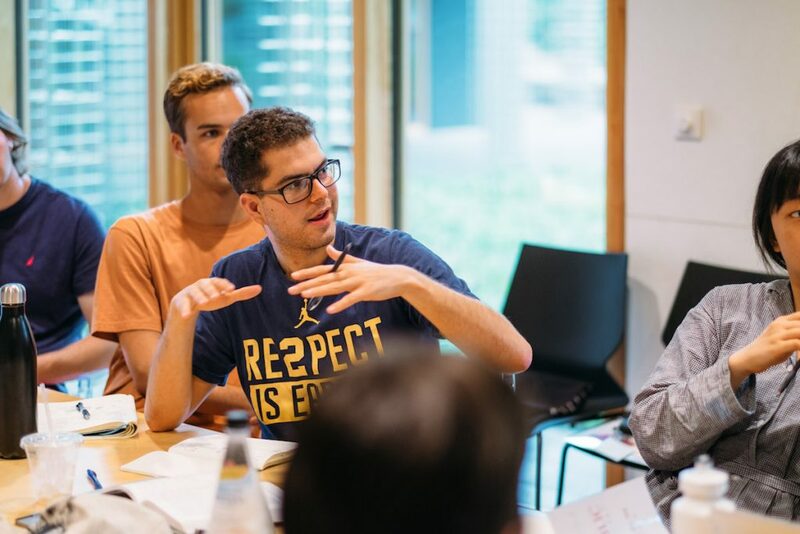 Where possible, students are invited to meet with visitors to discuss their ideas and gain insights into the world of academic research and careers. Designed and delivered in-house, our independent learning program is available exclusively for our students at no extra cost. 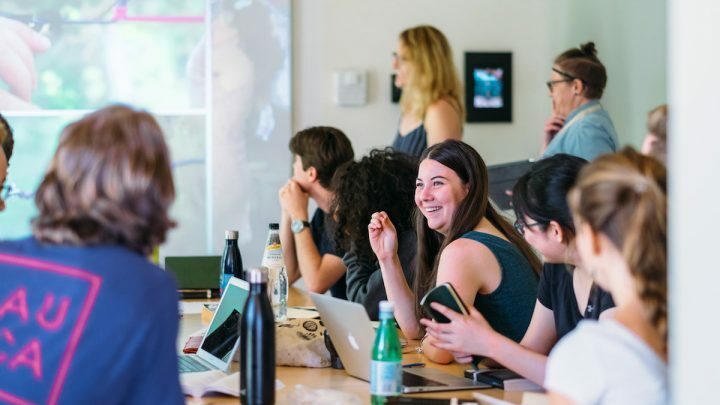 The program is all about students gaining an extra toolkit of enterprise skills to complement their university studies and prepare them for the changing future of work. Learn more about Associate Ormond College. A weekly student-led group conversation about a topical social, political or ethical issue. A weekly student-led group forum to discuss topical or historical scientific discoveries. 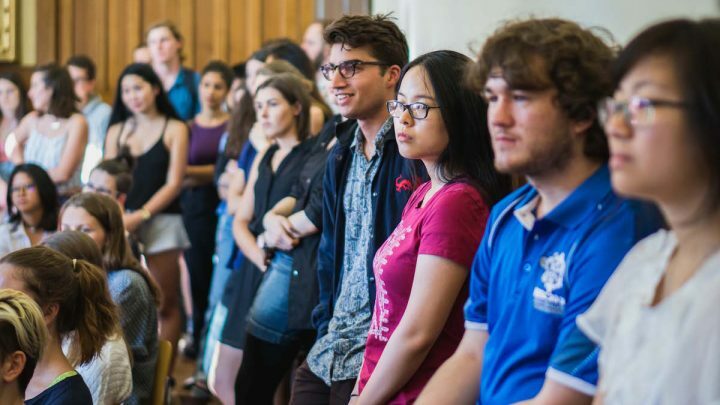 Every year, students have the opportunity to experience the behind-the-scenes of Australian policy-making and politics with our Budget Week tour. This is a unique perspective into the inner workings of one of the pinnacle moments in the parliamentary calendar. Each year, an editorial committee of Ormond students produces Ormond Papers, a published journal which contains academic and creative work from Ormond students, staff and alumni. 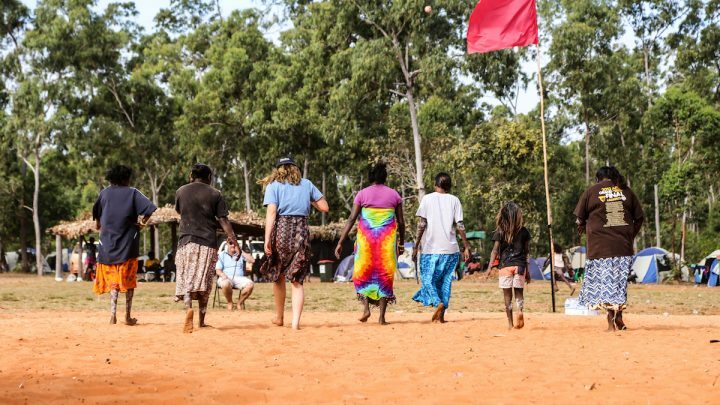 We facilitate a range of cross-cultural experiences including the Garma Festival, an excursion to the Bawaka homeland, the summer school at the Shanghai University of International Business and Economics, and more. A weekly Friday afternoon student-led group conversation to discuss a topical social, political, or ethical issue. The General Manager at Oracle Consulting and Partner at Gadens Lawyers helped students get up to speed with the changing nature of work, as well as some networking skills. Every week students learn about and dissect different scientific theories and ideas. 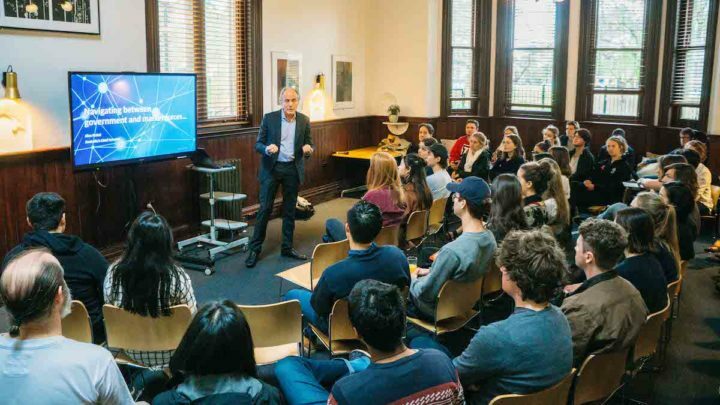 Australia’s Chief Scientist, Alan Finkel, shared his insights on Australian energy politics. Our extensive tutorial program is supported by experienced tutors who are practicing professionals, university lecturers and early career graduates. We offer over 150 tutorials on a weekly basis and most first year students will be supported in at least 3 of their subjects. 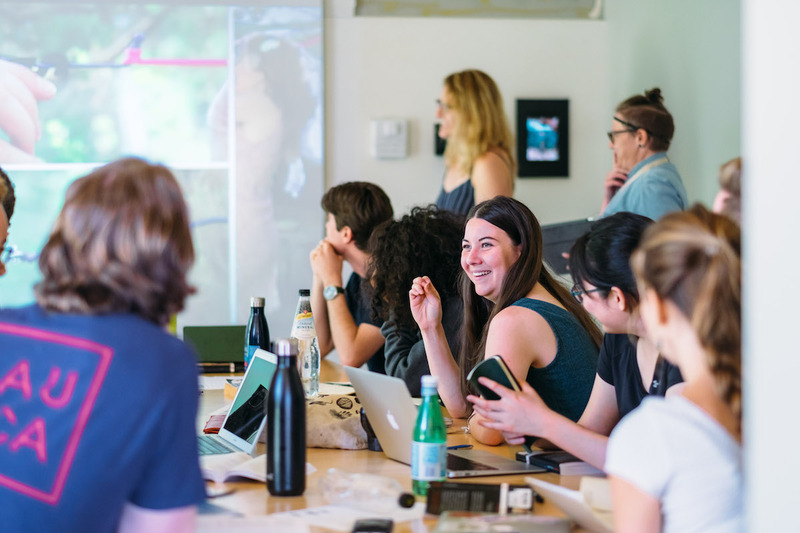 Ormond believes that learning happens through connection to place and people. We have a focus on high quality staff, passionate about their discipline and interested in discussing ideas beyond the formal learning events. Our dedicated staff are available during the day to discuss university subjects, course and careers advice. Our staff also includes a well-resourced library team. In addition to tutorials, students can arrange one-on-one meetings with tutors and academic advisors to work through any challenging aspects of their studies, as well as careers and course advice. The college hosts a number of subject related events where students can meet practicing professionals from a range of different industries. 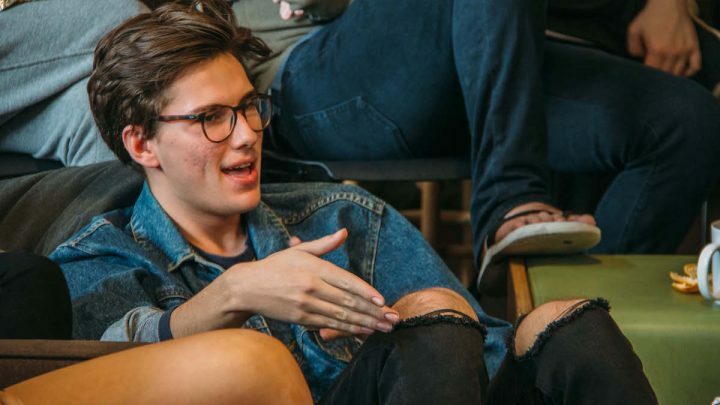 Students can entertain their keen interests in current affairs with access to key public policy, social and political leaders so they can hear from decision makers and discuss the issues directly. We also run a number of highly successful cross disciplinary forums that enrich the students culturally and professionally. They include poetry, philosophy, science and economics.